These cheesy and delicious Homemade Pizza Rolls make for the perfect appetizer. They’re filled with melty mozzarella, and topped with a yummy garlic butter, more cheese, and mini pepperonis. Everybody loves these cheesy Pizza Rolls, especially the kids! I can honestly say that I never get of sick of finding and trying new recipes. 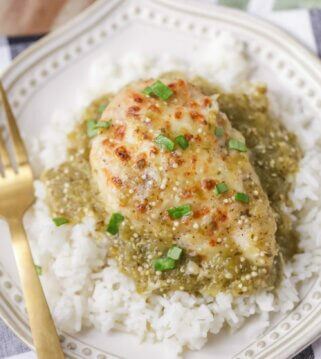 It’s so much fun, and I love adding these new found recipes to the monthly menu plan because it guarantees the kids won’t get bored with the same ol’ dinner ideas. 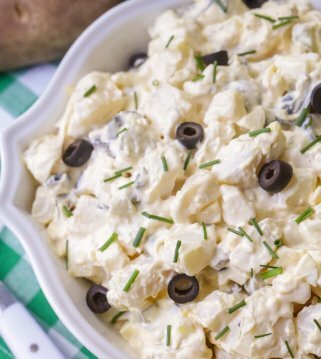 Today’s recipe happens to be one that I know my kids will love for dinner but it also would be a great appetizer or side dish. 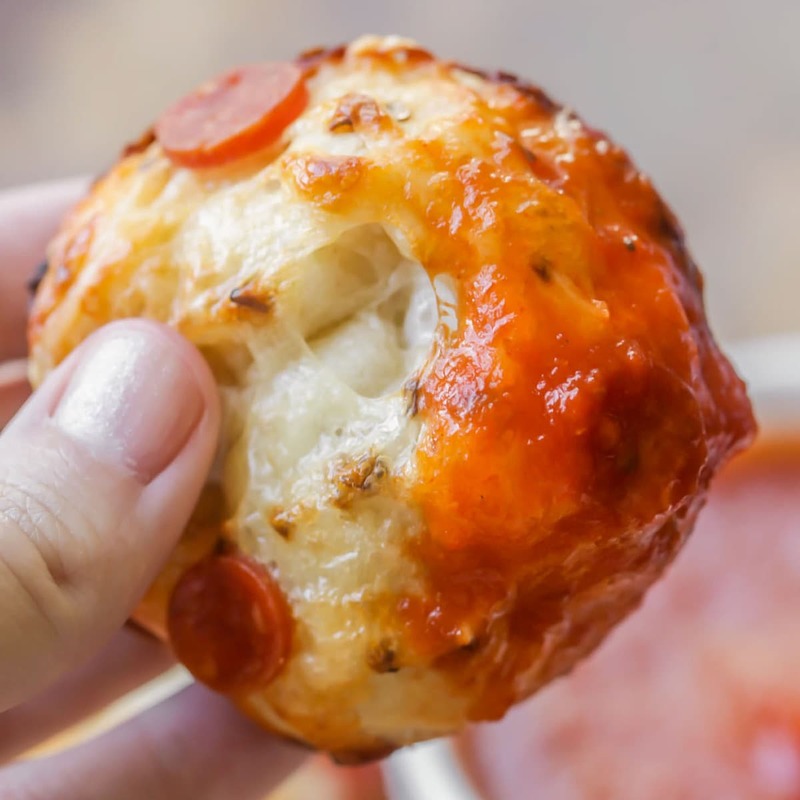 They’re Cheesy Pizza Rolls (or Pizza Bites), and they taste just like delicious pizza but don’t require all the work of making homemade pizza dough. These Garlic Bites are actually made from refrigerated buttermilk biscuits. They’re stuffed with fresh mozzarella tossed in butter and baked to perfection! 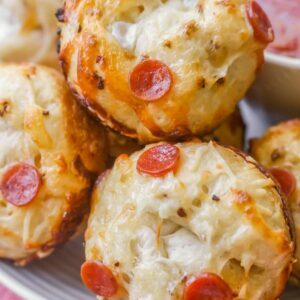 They’re also topped with cheese and pepperonis before baking, and are so addicting when served warm with marinara sauce. 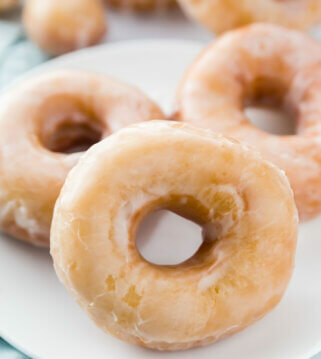 As anyone could imagine, they were a hit with the family and will definitely be made again! Dipped in marinara! 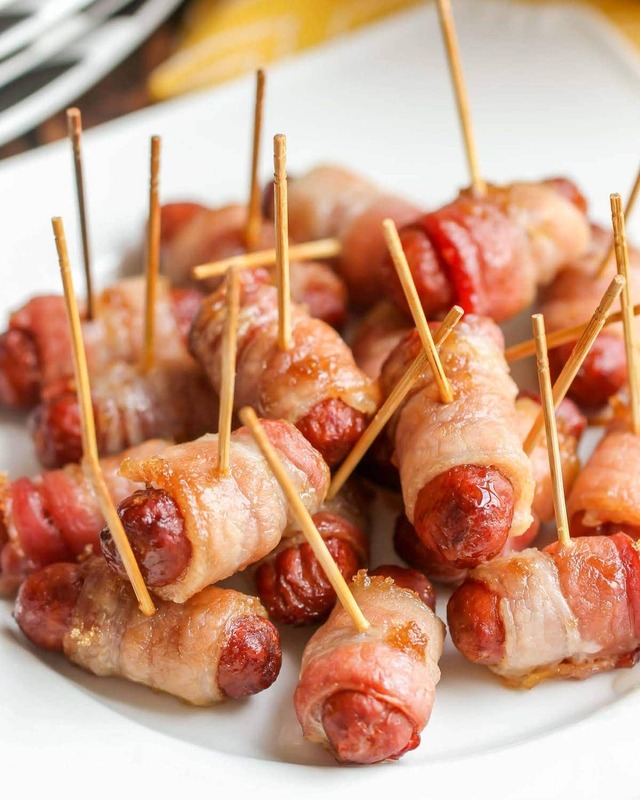 Again – a great appetizer idea. Open the can of biscuits and cut each biscuit in half, then flatten and round them out. Place TWO mozzarella balls in the center and wrap the dough around it to form a ball. In a small skillet, heat olive oil over medium heat. Add the garlic, red pepper flakes and butter, then add olive oil and salt. Roll each dough ball in the butter/oil for a few seconds and then place in a mini muffin pan open side up. 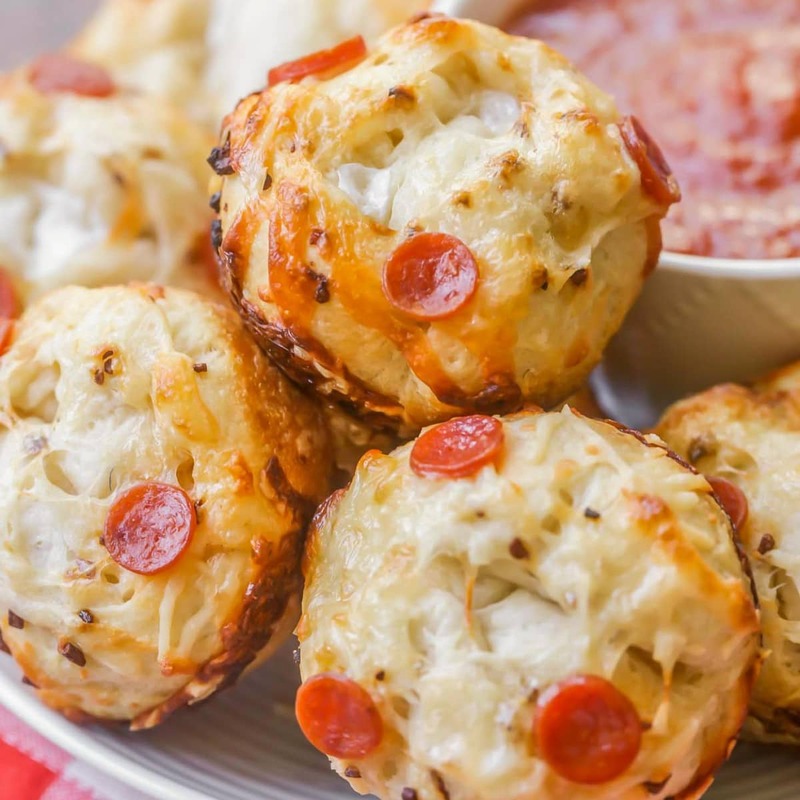 Combine the mozzarella and parmesan shredded cheese and add some on top of each dough ball, along with a few pepperonis (or whatever topping you like)! Bake at 450° for 8-10 minutes and brush with remaining garlic butter from skillet. Sprinkle with salt and basil and serve warm with marinara sauce. ENJOY! Check out that stringy Mozzarella. Cheesy and delicious Pizza Rolls (pizza bites) filled with mozzarella and topped with butter, cheese and pepperonis. Open can of biscuits, and cut each biscuit in half and then flatten and round out. Place TWO mozzarella balls in the center and wrap the dough around it to form a ball. In a small skillet, heat olive oil over medium heat. Add garlic, red pepper flakes and butter. Add olive oil and salt. Roll each dough ball in the butter/oil for a few seconds and then place in a mini muffin pan open side up. 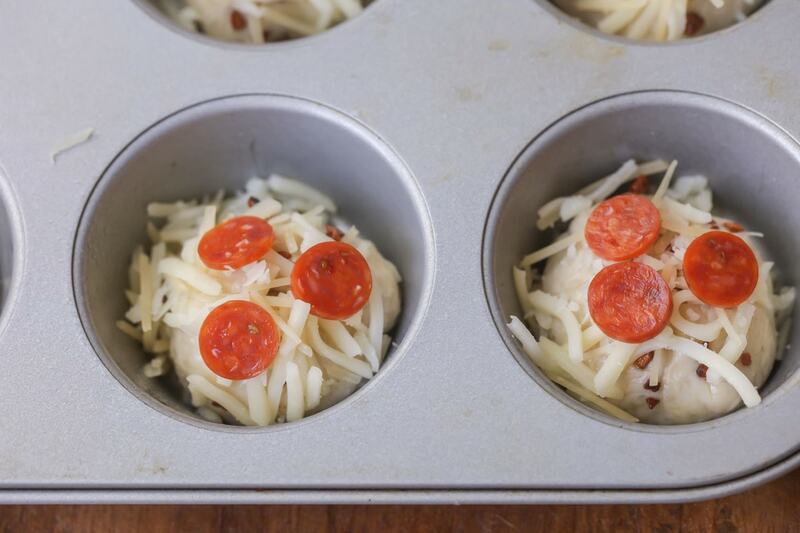 Combine shredded cheese and add some to each dough ball topped with a few pepperonis. Bake for 8-10 minutes and brush with remaining garlic butter from skillet. 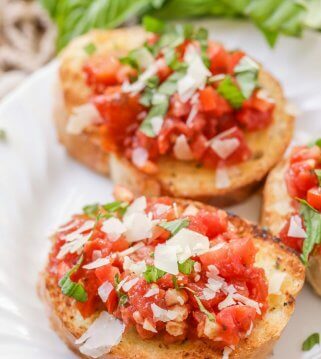 Sprinkle with salt and basil and serve warm with marinara sauce. These look wonderful. Dumb question but where do you find cherry tomato sized mozzarella balls? I have found them at Costco! Snack size – yum! Thanks Kristin for sharing that!! 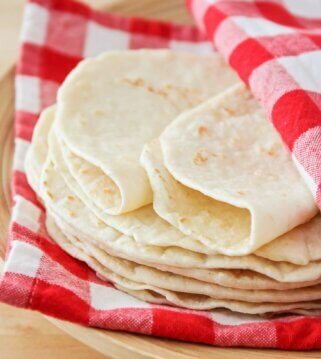 This pizza roll looks really good. I have tried this recipe before but it was a long time ago. Thanks for sharing this Kristyn. 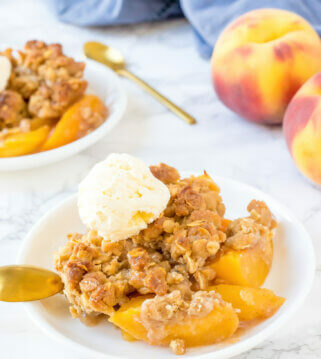 My kids totally love this – a great family friendly recipe – thanks! It sure is!! I’m glad they liked these! Thank you so much! We devoured these in minutes! We added a little sausage & olives. They are so good!! They are a nice change from normal pizza. We will definitely make them again! My kids always love making their own personal pizzas. This was a really fun spin on a family favorite. I did change the recipe a bit: Instead of using cherry mozzarella balls I just cut up some mozzarella string cheese I had on hand. These are by far the best kind of pizza rolls! I could eat these everyday! I cant think of a time when pizza was not devoured at our home. Everyone loves it! 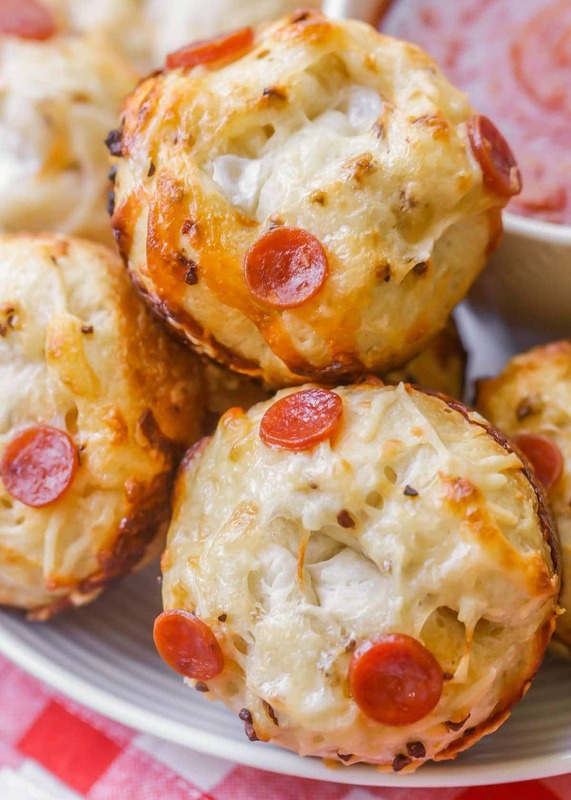 These little pizza bites are just as taSty and good. You can actually make them to your kids liking. My grandkids are picky eaters, but I think they will really like your Pizza Rolls. 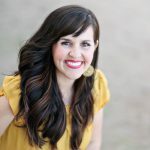 Thanks for your great recipes & for keeping me on your list! 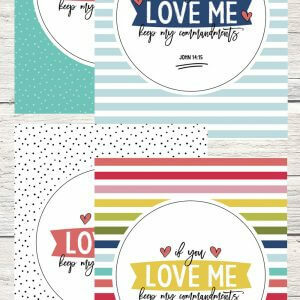 Mine are too, but they love these! I hope they do! Thank you so much for sharing that! I love these and my family goes crazy over them. It is so easy and cheesy. Thanks for all these wonderful recipes. You are so welcome!! I am so glad you like these! Thank you for trying them! I was wondering how you make the monzarella balls? Do you use the cheese sticks to make the balls? I think you are talking about this recipe..right? 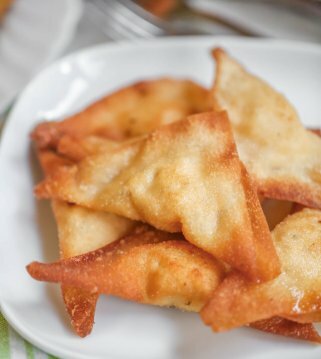 https://lilluna.com/mozzarella-bites/. 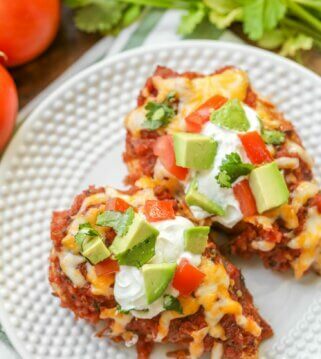 They are super easy, but yes, you use mozzarella sticks, that are cute into 1 inch pieces.